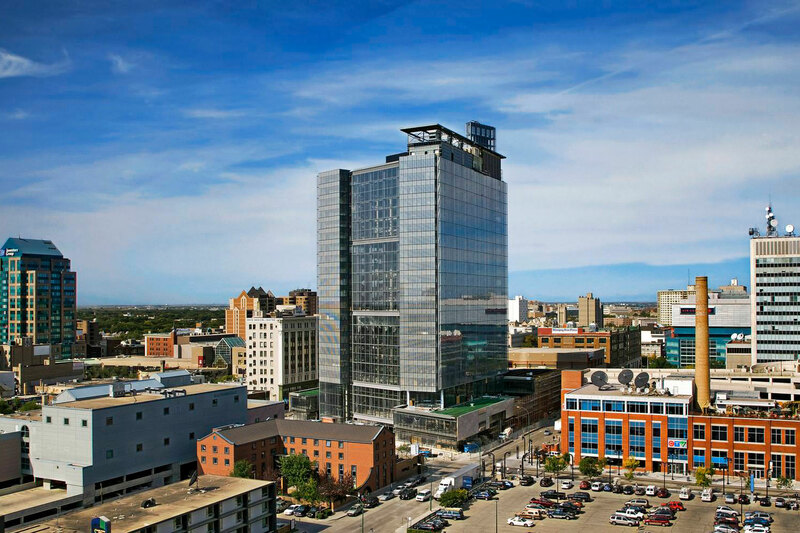 In downtown Winnipeg, this innovative office environment combines a parking garage, a 3-story podium, containing offices, restaurants and retail, with two narrow 18-story office towers linked by winter gardens. 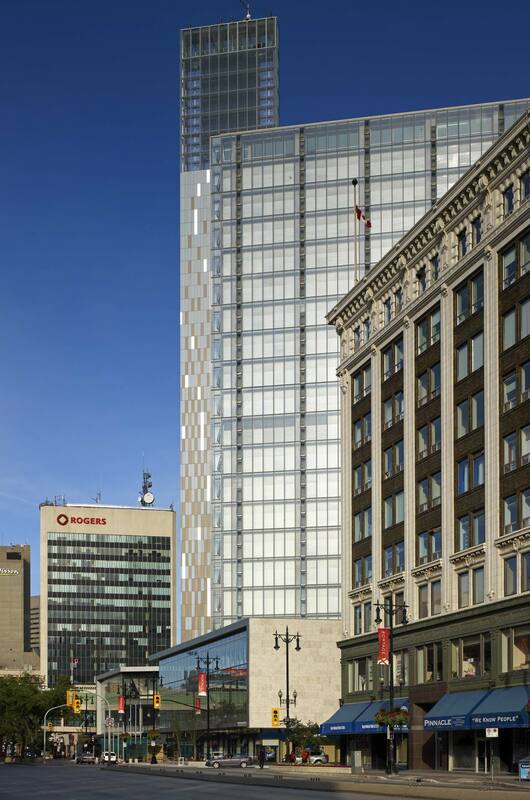 Winnipeg with 6,253 heating degree-C-days (11,255 heating degree-F-days), a winter design temperature of - 31°F (-35° C) and a summer design temperature of +86°F (+ 30° C) presented the project team with unique climatic challenges. 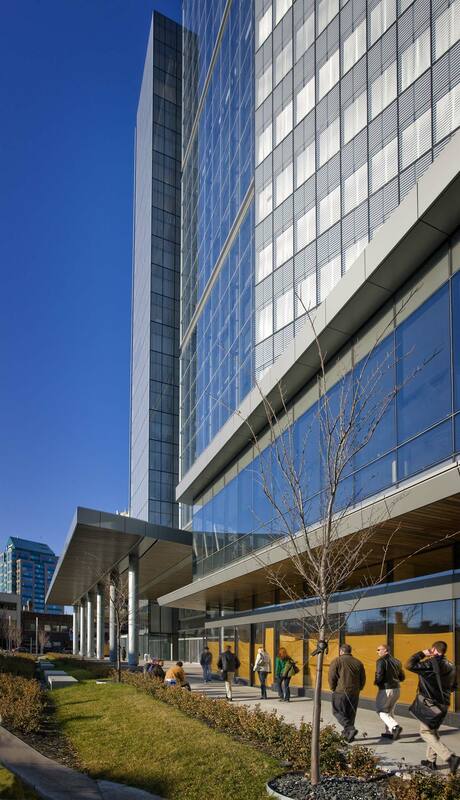 The energy efficiency of the building is maximized by: optimizing the orientation to use passive solar gains to condition the interior space; high ceilings to increases natural daylighting: creatingenvelope buffer zones as winter gardens and double facades for passive solar pre-conditioning of fresh air. 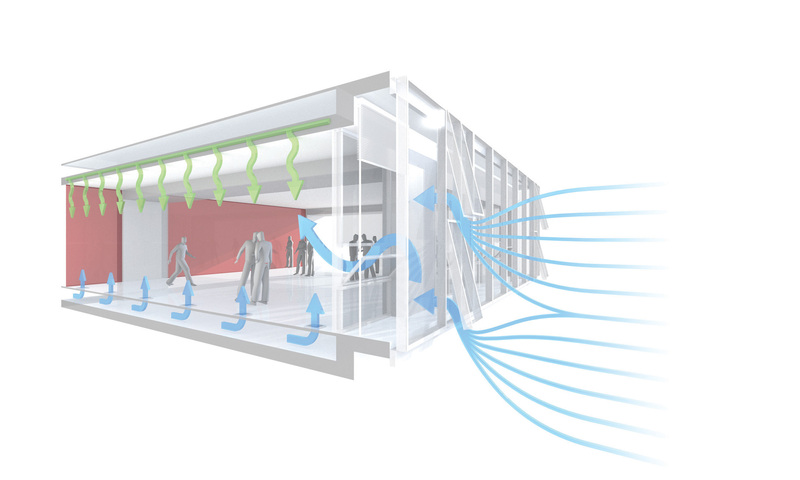 A highly efficient heat recovery reduces energy consumption by pre-heating intake air, the use of displacement ventilation supplies fresh air supply continuously. Operable windows and solar chimney allow natural ventilation. 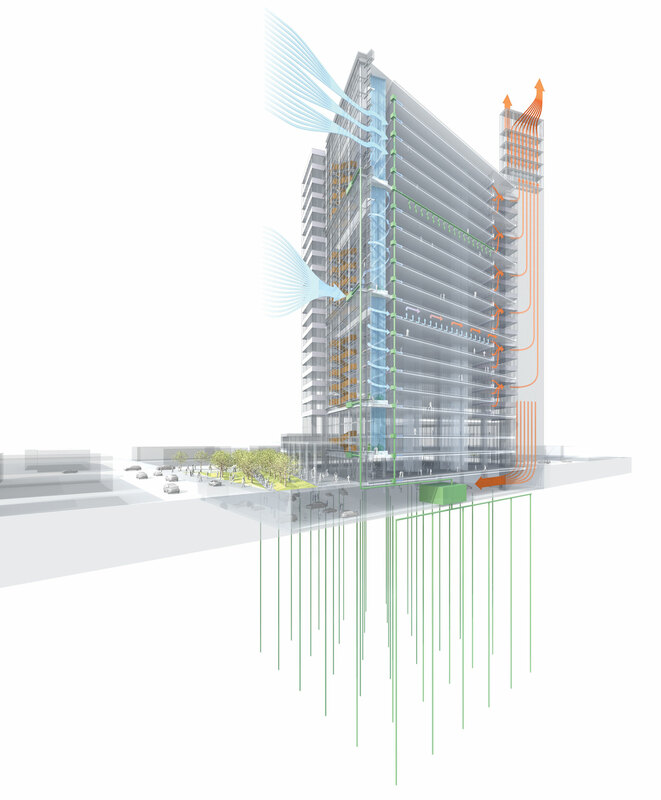 Thermo-active slab heating and cooling is supported by geothermal heat exchangers. 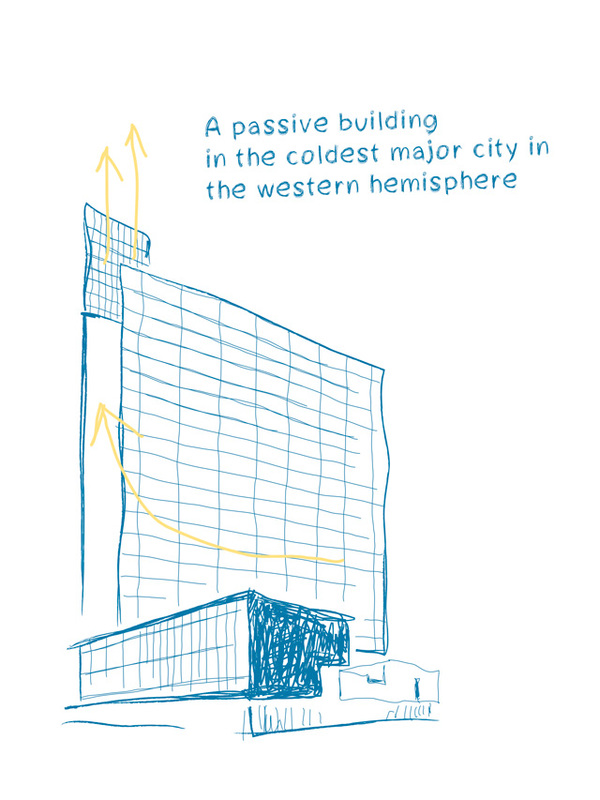 The building dynamically adapts to the continuously changing climatic conditions. 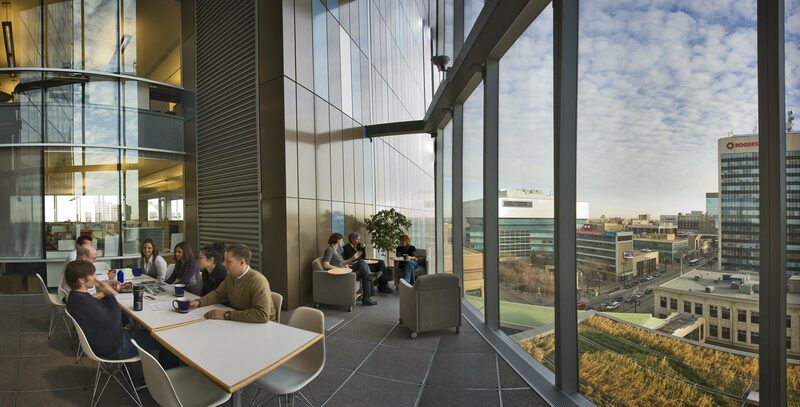 Occupants can control their individual environment according to their own personal preference using operable windows, lighting and shading devices. 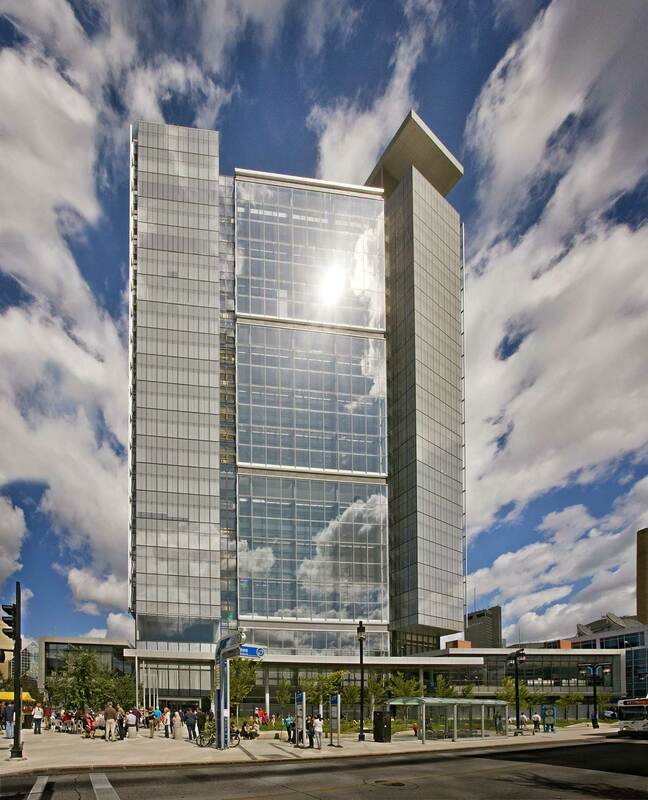 The building consumes 140 kWh/m²/year of primary energy for building operation, establishing it as the most energy efficient office tower in North America, 60% below a typical office tower. 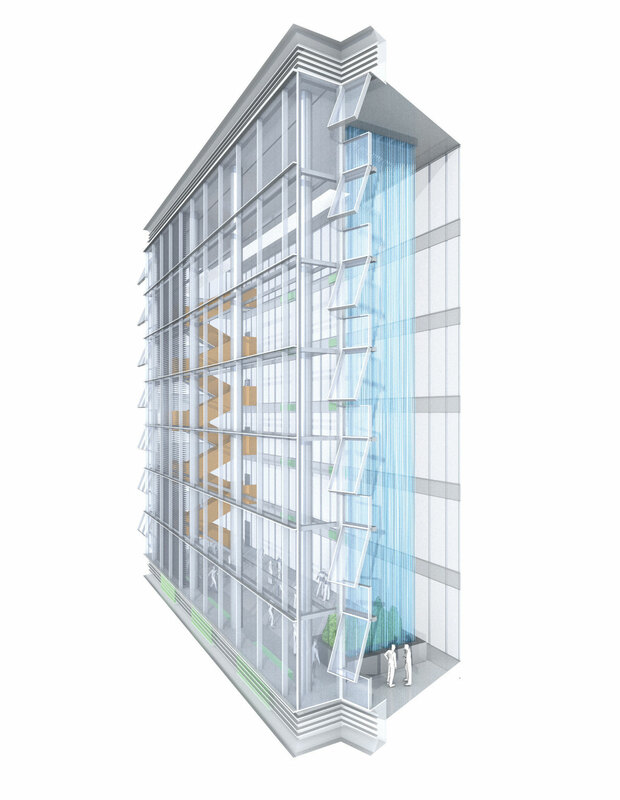 Beyond energy efficiency the building provides a new level of thermal and visual comfort, with all workstations having access to the façade.